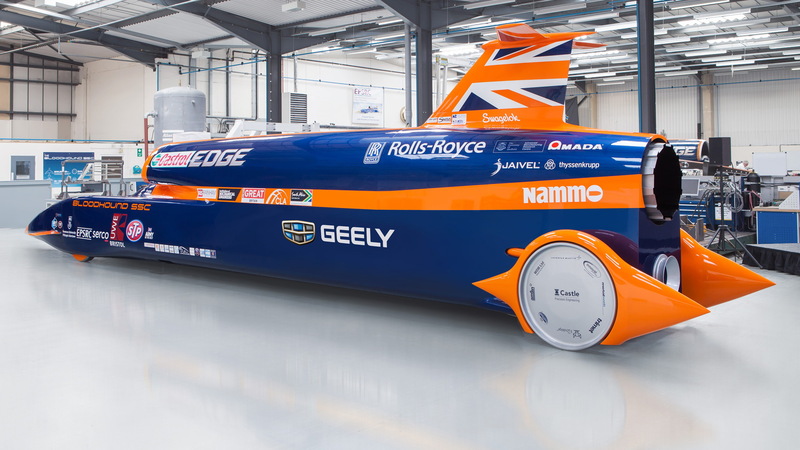 Originally scheduled for October 2017, the Bloodhound SSC’s attempt on setting a new land speed record has been pushed back until the fourth quarter of 2019, the team confirmed Wednesday. The cause of the delay, the second for the British effort, is primarily due to longer than expected time required to raise the necessary funding. The team has also been set back by the bankruptcy of two key suppliers. “There have been many false dawns over the life of the project and we have, regrettably but unavoidably, tested the patience of our friends, supporters and team,” project leader Richard Noble acknowledged. The team is currently hammering out a plan to source more funds and is hopeful of releasing more details soon, Noble said. 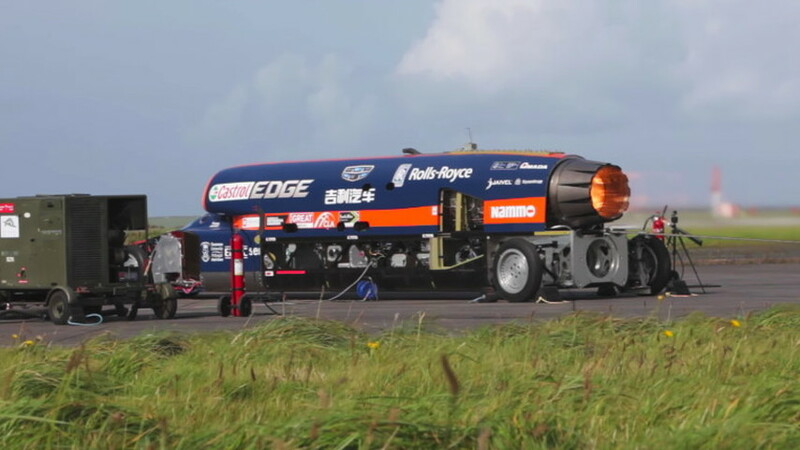 The Bloodhound SSC is a steerable car that combines a jet engine and a custom rocket engine. It relies on a Rolls-Royce EJ200 jet engine normally found in the Eurofighter Typhoon to get it up to around 300 mph. 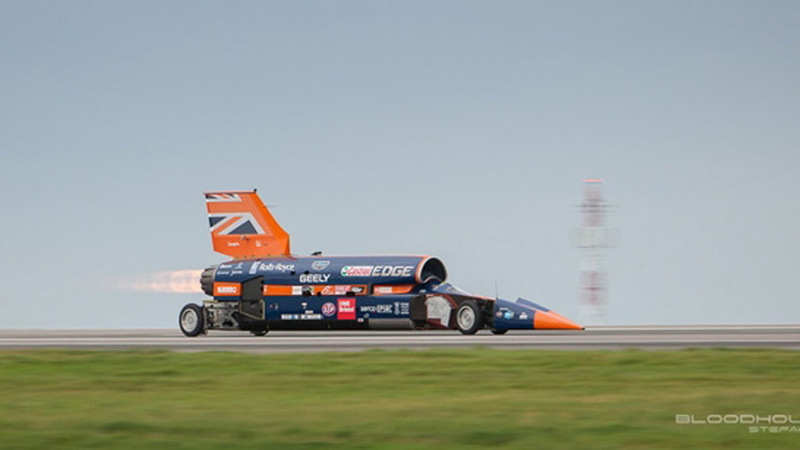 Beyond this speed, it relies on a cluster of bespoke hybrid rockets developed by defense firm Nammo. The combined output of the 44.3-foot streamliner is a claimed 135,000 horsepower. The attempt will take place on a dry lake bed in South Africa’s Kalahari Desert known as the Hakseen Pan. 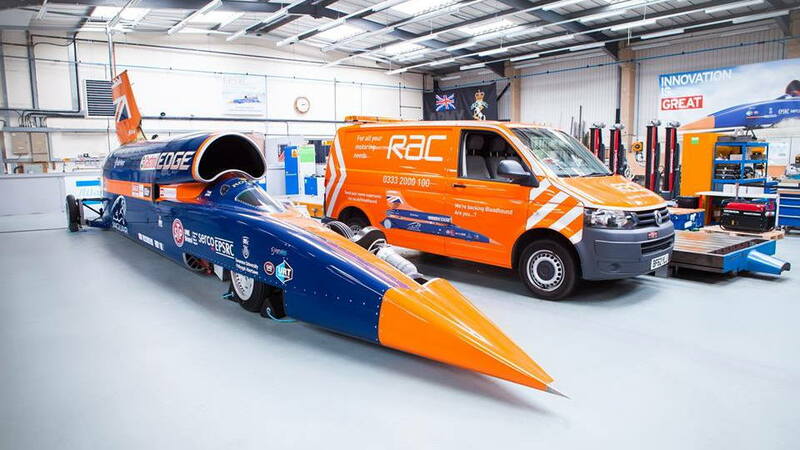 So far all testing has taken place in the United Kingdom but the team plans to take the SSC to South Africa in May 2019 for the first high-speed test runs. If successful, the team will make its first attempt on the record the following October or November. The car will remain in South Africa to help save logistics.